Net Morality - Exposing the internet's grey area. 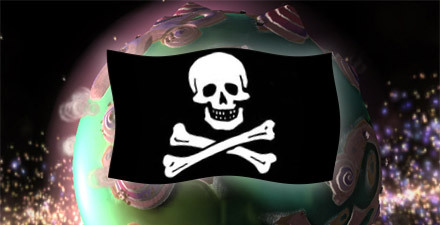 DRM, Software Pirates, and Warez - Oh My! Spore , one of the year's most anticipated computer games was released Sunday. It's a game that has been in development for what seems like an eternity and now that it's out, it has received a lot of attention from the video game masses. Sadly, most comments, critiques, and discussions seem to be focused not on the game itself, but on the anti-piracy software that the game's publisher, Electronic Arts, has incorporated with the game. What is this apparently evil piece of software? Digital Rights Management (DRM) of course. You see, DRM has become a dirty word for most gaming geeks. With software, movies, and music becoming easier and easier to steal online, various entertainment publishers have decided try and fight back by developing various software protections that they hope will discourage these digital pirates from obtaining their goods. Robin Phelan: I am being stalked on both sites. Can you help?